The millennial generation has a different way of thinking about work. Embrace it and you can have lifelong, loyal and productive employees. It’s the entrepreneurial age and everyone wants to work for themselves. 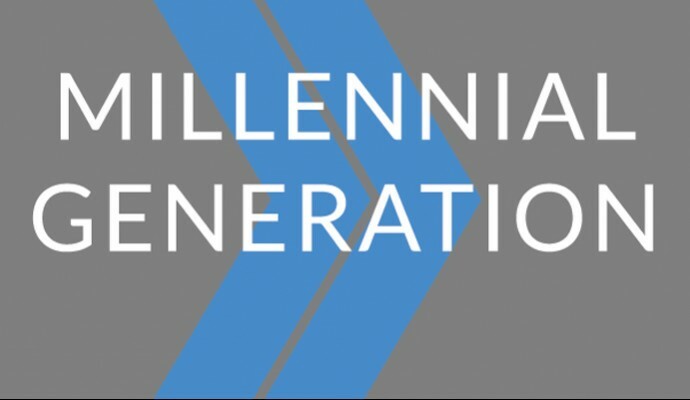 By 2025, Gen Y is going to make up 75 percent of the global workforce, and these millennials’ independent-thinking and entrepreneurial mindset is going to change everything about the way companies are run. We spoke to Schawbel about what millennials want most out of their workplaces—it’s more than just flexible hours—and how employers can keep them happy and productive in their jobs. Millennials don’t want to wait several years to find out where their career is headed, they want to make the most out of every opportunity today. This mindset comes in part because the job market is so uncertain and they don’t know where they’ll be tomorrow. Find ways to challenge your employees, and be clear from the beginning as to what their career path can be. Schawbel explains that Gen Y has a need to “solve the world’s problems” and if companies want to keep talent in their organizations, they need to clearly communicate long-term company goals with their hardworking and inspired workers. One of the main reasons young people quit their jobs is because they want to work on their own projects. If the “passion project” is related to the employer’s mission, you should encourage this entrepreneurial way of thinking. In fact, Google allows its engineers to take 20 percent of their time to work on something that they’re passionate about. Companies that employ a decent number of young people should support this independent thinking ability by developing entrepreneurial programs. Allowing workers to do this also increases loyalty, because employees know you care about their happiness and well-being. In the end, they will work harder for you, because you’ve allowed them time to work on something they care about.